We’re partnering with Stages Cycling to enhance this year’s Segment Challenge at the Farm to Fork Fondo series! 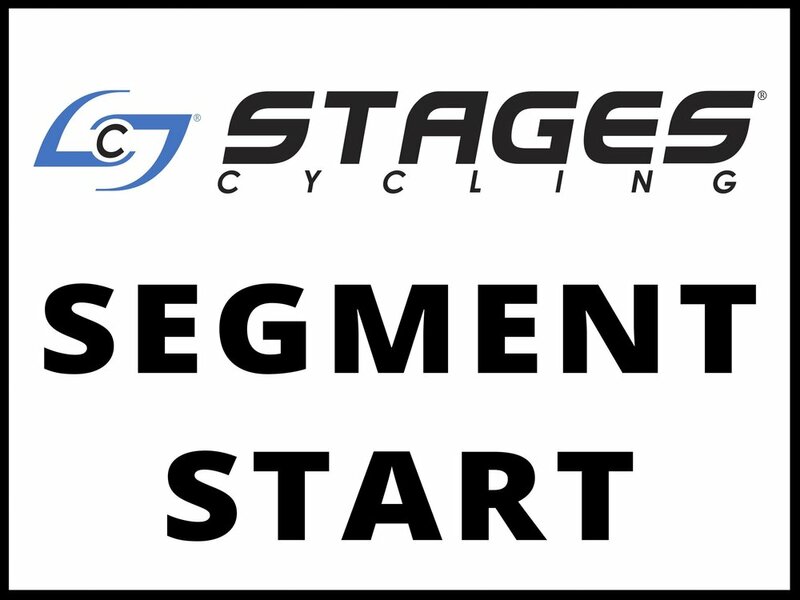 The Stages Segment Challenge features course segments of higher difficulty where riders can use Ride With GPS to test their abilities. “Achieving goals highlights the benefit of our products,” said Matt Pacocha, Global Marketing Director of Stages Cycling, “and that’s why we’re a proud sponsor of the Farm to Fork Fondo Segment Challenge.” While the Farm to Fork Fondo isn’t a race, the Stages Segment Challenge gives the event a competitive edge for cyclists who wish to participate. Registered Farm to Fork Fondo participants RSVP for the challenge on the Ride With GPS Farm to Fork Fondo event pages. During the event, riders use Ride With GPS to record their times. Cyclists who want to participate in the challenge give it their all over segments marked by the Stages Segment Challenge signs. The times are then ranked into six categories based on age and gender to see which riders were fastest. The male and female cyclists with the fastest times win the coveted Farm to Fork Fondo polka chicken jersey by Pactimo. Additionally, one participant of the Stages Segment Challenge at each event will be picked at random to win a Stages Cycling Power meter worth $800! We’re also collaborating with Stages Cycling to publish training plans and educational content that you can use to bring your training to the next level. The tips and plans are written by Power Education Specialist Benjamin Sharp, who helped develop endurance programs for USA Cycling. Whether you’re eyeing the polka chicken jersey or just looking to improve your personal record, these training plans and tips can be used by anyone looking to improve. Training plans will be e-mailed to registered Farm to Fork Fondo participants 6 weeks in advance of each 2017 event. A cycling power meter is a training aid on a bicycle that measures the power output of the rider in watts. Learn more about enhancing your game and training with power from Stages Cycling on our Training Tips Blog. To take part in the Stages Segment Challenge, register for any of the six Farm to Fork Fondo events and then visit our Stages Segment Challenge Page to RSVP and learn more. And keep an eye out for the training tips throughout the year! We're Giving Away 12 Bianchi Bikes!